Gulen’s followers — estimates range between 5 million and 10 million — praise him as a strong voice for a moderate, tolerant Islam and the inspiration for charitable works worldwide. Critics say the schools, businesses and nonprofits linked to his name constitute a vast criminal enterprise. What does this Gulenist network look like, and what is its place in American life? Q: Let’s start with the schools. Where are they and what do they teach? Q: These Gulen-linked schools are in America? A: During the past few decades, Turks with Gulenist ties have established about 140 schools in the U.S., in 26 states. As charter schools, which are publicly funded, they can’t teach religion. But even in Islamic countries, the focus on Islam in Gulenist schools is often far from intense, and boys and girls are educated side by side. Many American parents likely have no idea — and may not care — that their children attend schools steeped in Gulenist thought. Schools associated with Gulenists in the U.S. include the Horizon Science Academies in Ohio, the Harmony Science Academies in Texas and the Sonoran Science Academies in Arizona. Q: So they’re big in education. What else do Gulenists do? A: “The Gülen movement reminds people of everything from Opus Dei to Scientology to the Masons, Mormons, and Moonies,” wrote Istanbul-based journalist Suzy Hansen in a piece for the New Republic. Gulenists use the term “Hizmet,” which means “service” in Turkish, to refer to the movement inspired by Gulen’s philosophy. In Turkey they have founded hospitals, charities, banks, a publishing house, retail stores, newspapers, and radio and television stations. Gulenist enterprises have helped fund its network of schools and social service programs. 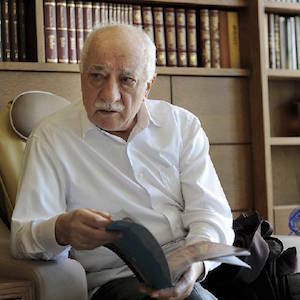 In the U.S., one group that proudly touts its connection to Gulen is the New York-based Alliance for Shared Values, a nonprofit that coordinates Hizmet service projects. Also in the U.S., Gulenists have founded the Turkic-American Alliance, an umbrella group for more than 200 Turkish cultural and business organizations, and the Rumi Forum, a Washington-based think tank. Q: What are the charges against the Gulenists? A: Critics say Gulenists embedded in the Turkish police, military and judiciary have rigged trials and falsely imprisoned their enemies, and run a sort of parallel state in Turkey. In the U.S., the FBI and state agencies have looked into allegations that Gulenist-linked schools have rigged bids and abused visa programs to enrich the movement at U.S. taxpayers’ expense. Q: And how do they defend themselves? A: Supporters of Gulen say they want to spread his liberal democratic teachings, and that he is just the sort of moderate Islamic leader that the West should support. Hizmet’s outreach to Christians, Jews and other non-Muslims is unusual among Muslim social movements, said Professor John L. Esposito, the founder of the Alwaleed Center for Muslim-Christian Understanding at Georgetown University. “Others would be wise to attempt to emulate it,” he said.